Order ‘Be The Media’ by David Mathison from Amazon.com by clicking on the book cover above! I start each show talking about “So much media, so little time…” But David Mathison sees the media differently. Instead of observing it from afar, he wants you to be the media—you, yourself. Mathison, a former executive with the Reuters news agency, takes the whole notion of 21st century media very seriously. 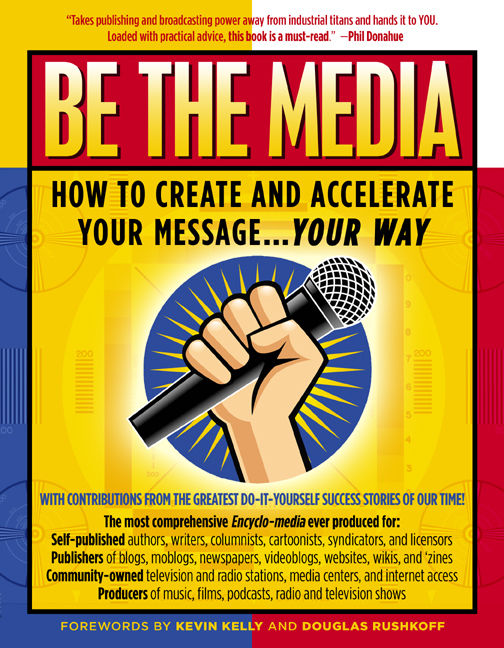 In his new, self-published handbook, Be The Media: How to Create and Accelerate Your Message… Your Way, Mathison lays out how anyone can have a message and spread it using online tools ranging from standbys such as print, radio and video to blogs and podcasts. 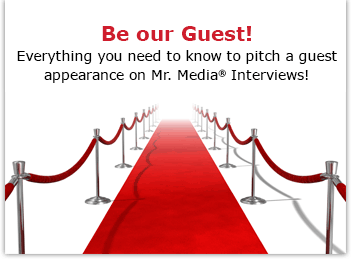 Forget the so-called media elites, the social media guru says—and as one of them I object!—and take control of spreading the word about your own project yourself, whether you’re the producer of music, films, podcasts, radio or television programs. I couldn’t agree more. And I would add that Mathison’s book, which you can order on Amazon.com or his website, BeTheMedia.org, is a perfect companion bookend for Guy Kawasaki’s most recent book, Reality Check. Together, these are 3 pounds, 13 ounces of paper you really should own and study.